But obviously that’s a pretty darn bold claim, so what’s the real truth about this system? Is it really legit & can you really make money with it like Jake claims you can? Or is Quick Home Websites a scam that’ll just see you ending up losing money rather than actually making it? What Exactly Is Quick Home Websites? Basically as the name suggests the Quick Home Websites system claims to provide a quick way for earning good money online, even if you have no technical knowledge or no previous experience at making money online. The creator, who you’re told is named Jake, claims that you don’t need to do any work because he’s already done it all for you. He says that when you buy into his system you’ll be getting access to one of his “done-for-you” profitable websites which is already making money – and that’s supposedly how you’ll make money so quickly. But I can tell you right from the off that everything you’re told via the Quick Home Websites system is total BS, and the reason I can say that so confidently is because I’ve seen this exact same scam launched under several different names already. Auto Online Sites, Your Dream Websites & Instant Profit Sites are just 3 of the other names this thing has launched under… And if you click on any of those links you’ll be taken to my reviews in which I exposed them & you’ll see that the Quick Home Websites system is no different. The true creator (who isn’t really named Jake) just keeps on changing the name & URL of his “system” in an attempt to try & escape the negative reviews (like mine) so that he can continue parting his unsuspecting victims with their hard earned cash & make money at their expense. Well in short the Quick Home Websites system is actually just your typical get-rich-quick scam in that it promises the world, asks you to hand over some money & then fails to deliver on its promises after you do so. However that couldn’t be further from the truth. Instead, after paying the $37 (which I certainly don’t recommend doing) what you’ll be left to discover is that rather than getting a “profitable” website, all you’ll really be getting is a website “template”… And it’s the same template that every other member who’s buying the system will be getting too which raises several other problems as well (I’ll discuss them in a moment). Oh and $37 is essentially just the “entry fee”. Once you’ve paid that you’ll be immediately presented with several additional upsells that each promise to help you to get richer even faster & even easier… But as you can probably guess, just like the main product these are all nonsense too. However even if you don’t choose any of the upsells you will still have to fork out more cash if you wish to even “try” the website out because web-hosting does not come included via Quick Home Websites. Instead the creator recommends a 3rd party hosting company – and what I can tell you here is that this is also another part of the scam, because the hosting company he recommends cost hundreds of dollars, yet you can actually get a web hosting for free. And funnily enough this same web-host is recommended by all these types of get-rich-quick scams, so my assumption is that the creator who is behind all of these scams also likely owns the hosting company too. But Can You Make Any Money With It? Well this is where things get a little bit confusing… Because ultimately the Quick Home Websites system is loosely based around something called affiliate marketing – which in itself is a legitimate (and very good) way to make money online. BUT, whilst affiliate marketing in itself is legitimate – the Quick Home Websites system is not, and rather than truly help you to get started with affiliate marketing the sole intention of this system is just to trick you into spending cash so that the creator can make some money at your expense. If you really want to make money with affiliate marketing then you should just stick with a proven program like Wealthy Affiliate as opposed to trying out some hyped-up BS system like Quick Home Websites. The guys behind this thing are just telling a pack of lies to trick you into handing over your cash. Sure, you can make money with affiliate marketing but you’re going to be able to make money with little to no work. I mean come on just think about this for a moment – if you could really make money so quickly & so easily then why isn’t everybody doing it? And why are people like me wasting time building our own websites if we could just buy “done-for-you” ones that make $1,000 per day for $37? The answer is because systems like Quick Home Websites are scams! 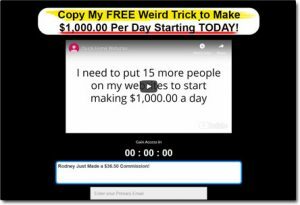 Sure you can make good money online – heck I’ve met people making crazy money online (6 figures per month!) but it does not come without hard work & dedication. The good news though is that as I mentioned above if you are willing to put in the work then there are plenty of legitimate places like Wealthy Affiliate where you can get started. As I mentioned a little bit further up in this review there are several reasons as to why the Quick Home Websites system won’t work. The first one is that the training provided via the system is VERY poor. In fact to be honest the training is almost non-existent… And that’s a big problem because once you’ve got your “done-for-you” website you’ll be left to discover that you need to promote it to make money, but sadly the guys behind the whole thing don’t give you good advice on how to do that. On top of that though there are also some problems with the promotion side of things itself… Because like I said earlier all of the websites provided by the Quick Home Websites system are duplicates. Every single member signing up to the system is getting the exact same website. After all it doesn’t make sense for them to have loads of duplicate pages in their search listings because it would annoy their users. So the website provided to you via Quick Home Websites won’t stand a chance of getting listed in any of these search engines which means if you want to stand ANY chance of earning anything you’ll likely have to resort to paid advertising, and paid advertising (especially as a newbie) is VERY risky. 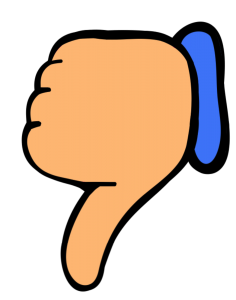 I’ve seen people (even experts) burn through tens of thousands before they manage to turn a profit with paid advertising, and trying to turn a profit on a low quality copied website like that provided via Quick Home Websites will just be next to impossible. My Verdict – Is Quick Home Websites a Scam? In my opinion, yes it is. The reason I say that is because the website is quite clearly set out to deceive its users & trick them into handing some cash purely so that the creator can make himself/herself wealthy at their expense. As an example of the deceit, the website states at the very top that the visitor can expect to make $1,000 per day starting from the same day they get started using a “free weird trick”… However at the bottom of the page in the disclaimer the text reads “the typical purchaser does not make any money using this system“… And it’s quite clear that the system isn’t really free at all. On top of that I think the fact that the creator keeps renaming the system in an attempt to escape the negative reviews says a lot about the whole thing. If it was a genuine system through which he was genuinely trying to help people then he would simply improve it, not just relaunch the exact same thing under a new name with the same false promises. As far as I’m concerned it’s therefore quite clear that the creator doesn’t care about the success of his visitors/members at all & instead he’s just looking to earn himself some money at their expense. For that reason I will NOT be recommending the Quick Home Websites system & instead I’ll be advising that you steer clear from it. Instead if you really want to make good money online then you should just stick with a legitimate & proven platform like Wealthy Affiliate as it’s there that you’ll truly be able to find long-term sustainable success. And on top of that you can also check out for my top picks for making money to see some other alternatives too. But whatever you decide to do I just hope that my honest review of Quick Home Websites here has given you a good insight into how it all works & hopefully it has also helped you to save some money.